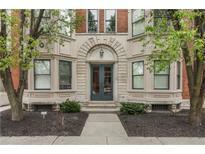 Find Indianapolis, IN Condos for sale. View Photos, Maps and MLS Data Now! Walk to restaurants, coffee shops, this is a walking neighborhood! MLS#21630503. F.C. Tucker Company. Master suite with walk-in closet, dual vanity, & large shower. 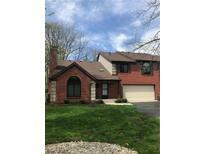 MLS#21635274. RE/MAX Ability Plus. Myron Place - TWO car attached garage. All of this for $350K! ! MLS#21636064. Plat Collective. 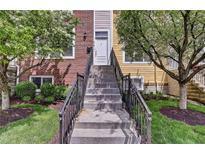 Clifford And Chatham - This is an incredible well cared for home steps from Mass Ave. This is a must see! MLS#21635830. F.C. Tucker Company. New Counter Top, Lvt Flooring, large within Closet And Tub/Shower. MLS#21635646. Mike Watkins Real Estate Group. Cathedral Great room features Wall-of-Windows w/Beautiful Water Views, Wood Burning Fireplace, Ceiling Fan & Access to Outdoor Deck. MLS#21635999. F.C. Tucker Company. Lovely dining area overlooking the fenced private back patio area. Includes adjacent covered carport. MLS#21635738. F.C. Tucker Company. Golden Woods - Three bedrooms. Light filled & open living room & Dining Room. MLS#21635721. F.C. Tucker Company. Two car attached garage with large driveway. MLS#21635416. Keller Williams Indy Metro NE. Creekside Crossing - Water, sewer, trash pick up are all included in the monthly fee that includes all lawn care as well. MLS#21635757. 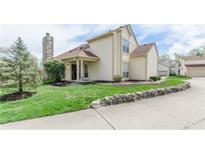 Keller Williams Indy Metro S.
North Pointe Bay - Low maintenance living with all the amenities... you can relax on your private patio, take a dip in the pool, play tennis, enjoy the clubhouse and ponds. Attached garage. A MUST SEE! MLS#21635927. F.C. Tucker Company. Reflections At Waterwood - Close to Eagle Creek Park, 465, and Rick's Boatyard Cafe. Brand new dishwasher added 4/24 MLS#21635780. FS Houses LLC. Villas Of Oakbrook - Community Playground, Tennis & Basketball Courts, Walking Trails, & Swimming Pool! MLS#21635559. F.C. Tucker Company. Don’t hesitate, this one won’t last! MLS#21635523. Everhart Studio, Ltd..
Stonebridge - Low maintenance neighborhood features exterior building maintenance, community clubhouse, pool, & exercise room. MLS#21635172. DAVID BRENTON'S TEAM. 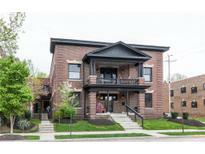 Great value for this downtown location! MLS#21635482. Axia Realty, LLC. Links At Eagle Creek - Great location off of 56th St. close to I465 & all that Eagle Creek has to offer. MLS#21635401. Sold It Realty Group. 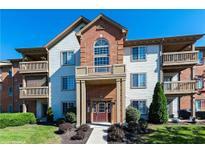 Guion Creek Woods - Come look around, ask questions, fall in love! MLS#21626067. Front Porch Real Estate, LLC. Neighborhood amenities include basketball and tennis courts, clubhouse, and pool. MLS#21635409. F.C. Tucker Company. Bay Point - Don't miss this one, it won't last long! MLS#21635540. RE/MAX At The Crossing. Eagle Valley Fox Ridge - Enjoy maintenance free living in a great location close to shopping, restaurants, Eagle Creek Park and convenient interstate access! MLS#21635485. Keller Williams Indy Metro W.
Neighborhood Pool And Complex Is Across The Street From A Park. Close To Dining And Shopping. MLS#21632097. Apter Properties, LLC. Huntington Heights - The pool is not available to this unit, it is a different association. MLS#21635598. Heffernan's Home Team, LLC. Lower level makes a great Recreation room or office and opens directly to your private attached 2 car garage. Downtown living at its finest! MLS#21635366. Rhino Realty LLC. 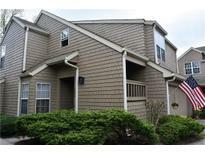 Arbor Village - Short drive to downtown, Eagle Creek Park, shopping and restaurants. MLS#21635403. United Real Estate Indpls.